650 lb. weight capacity and heavy-duty construction. 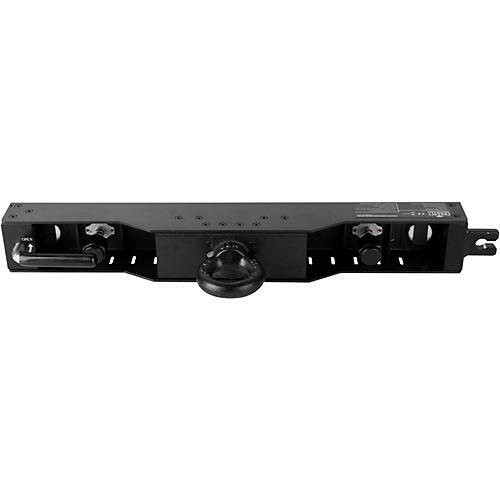 The RB-F50CM Rig Bar from Chauvet Professional is designed for hanging Chauvet’s F-Series video panel products from truss or pipe with ease. This heavy-duty, pro-grade bar lets you hang your video panels either horizontally or vertically, and includes M20 eyebolts. With a weight capacity of 650 lb., the Rig Bar features interlocking hardware that ensures correct alignment of your screen setup when using it in conjunction with other RB-F50CM bars. Get your next video display dialed in properly—order today.